Take advantage of stores Free Shipping promos - most don't require a specific promo code meaning you can utilize sites like Retail Me Not to find other money saving promo codes. Think 15% off or even 20% off coupon code's. Shop Target.com with your Target Debit RedCard - a card that is totally free and will save you a ton of money. Directly linked to your bank account this card saves you 5% on your in-store & online purchases - plus free shipping, no minimum purchase amount needed. Earn money back through sites like SwagBucks or Ebates. Simply go to either (SwagBucks or Ebates) site and search for the store you are about to buy from (online) click the link back to the original and finalize your purchase - BAM you just earned cash back on that purchase. AMAZON : Especially if you have Amazon Prime. FREE unlimited two-day shipping with no minimum order size -- Um need I say more ?! Don't have Prime ? What are you waiting for ?? Sign up here to get FREE 30 Day Trial to Amazon Prime It is that easy! No purchase necessary. 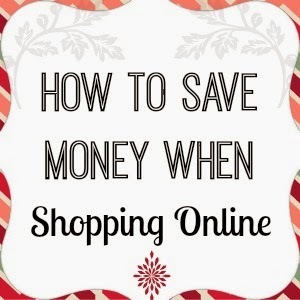 These may seem like no brainers but I still wanted to put it out there what I do to save money online. Not just during the Holidays either, you can do this all year round ! !